'Billie B Brown' is a series written by award-winning author Sally Rippin and illustrated by Aki Fukuoka. Designed for reluctant and emerging readers, this series is the perfect introduction to chapter books. The title character, Billie, is a feisty tom-boy who provides a refreshing change for young girls (and parents) who are tired of fairies and princesses. She is 100% herself, stands up for what she believes in, protects her friends and does it all in her own special way. Billie's best friend is her next-door neighbour Jack, who is good at building cubbies, but not as good as Billie on the monkey bars. 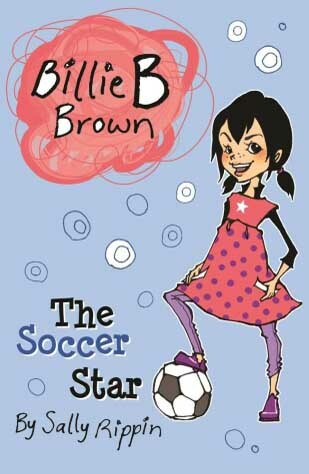 The 'Billie B Brown' series prepares girls for new social situations, and they will recognise their own lives reflected in Billie's 'real world' adventures. From their scary first sleep-over, to learning not to tell lies, Billie B Brown is there to show them the way.